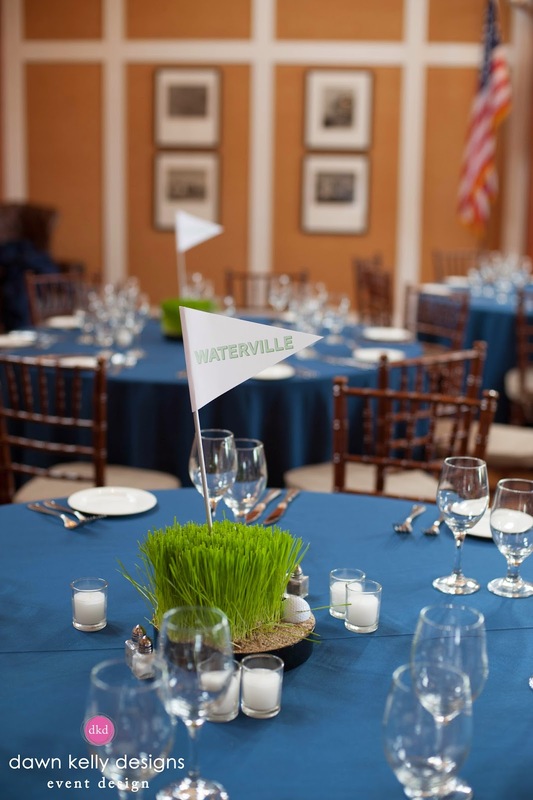 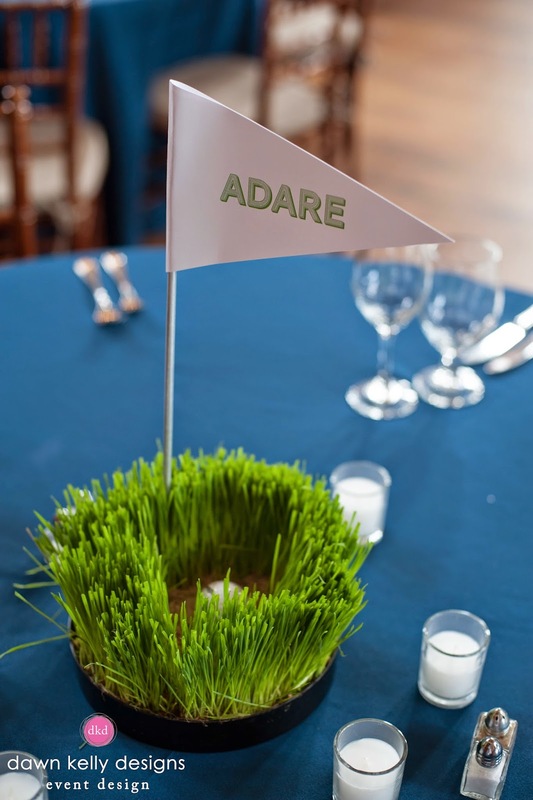 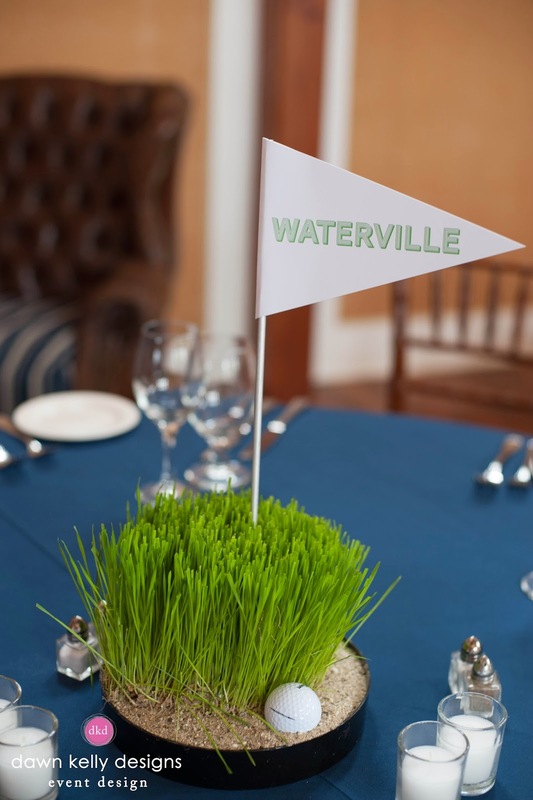 He's an avid golfer and our client wanted it to be fun and clever, yet appropriate for a club soiree. 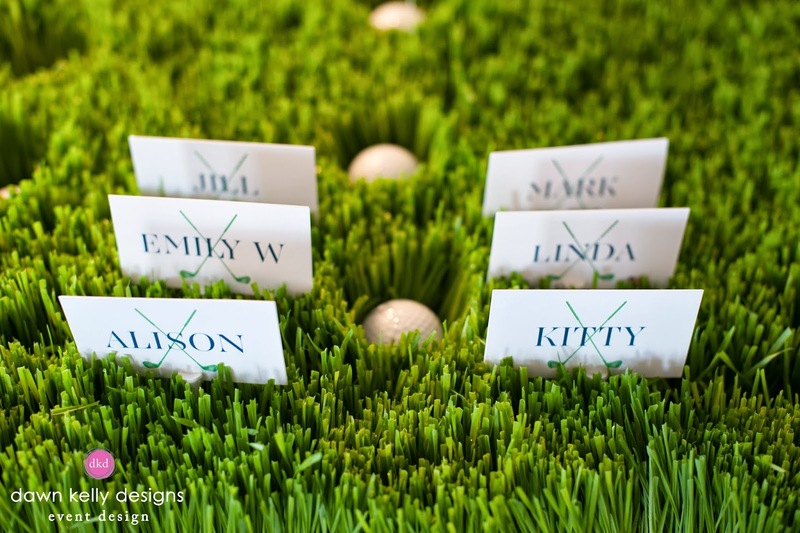 We created a fun display of cards all "tee-d up" for guests to find their seats. 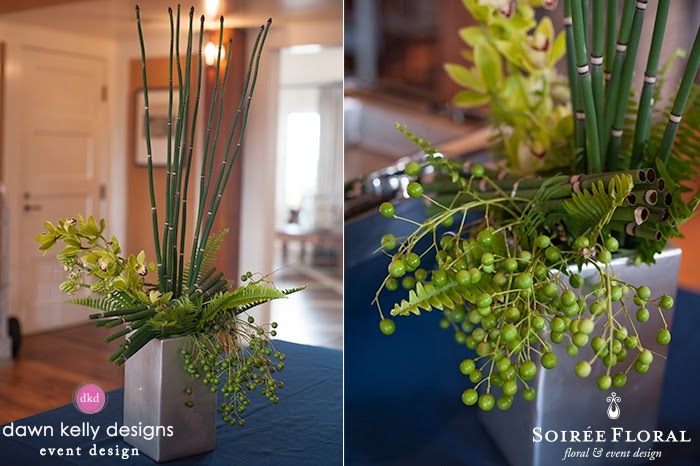 made the perfect masculine centerpiece with no fuss and tons of charm. 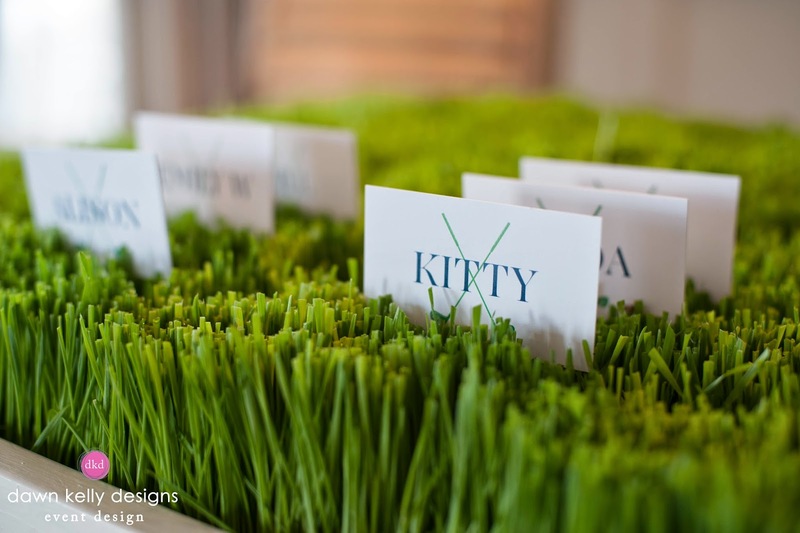 Looking to create an unusual and clever atmosphere for your next event? 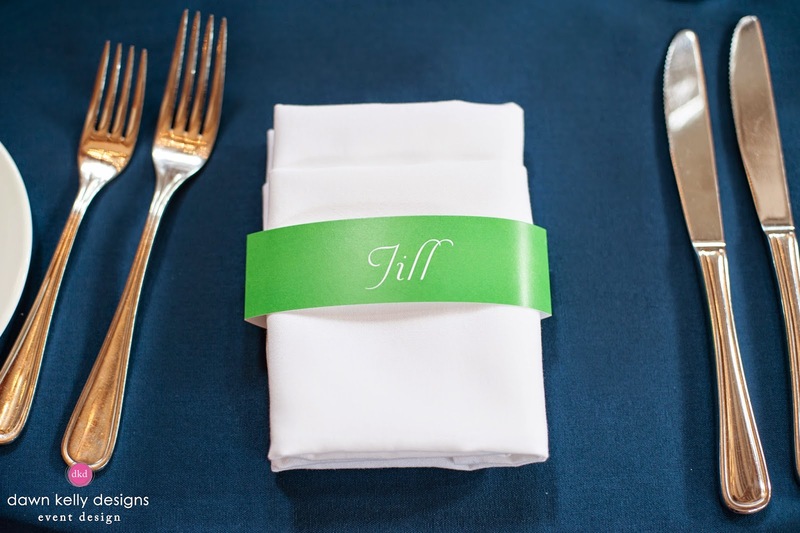 Give us a call or drop us an email - we love celebrating your special moments!